The steel brewing company. Slow brewed for exceptionally smooth flavor. 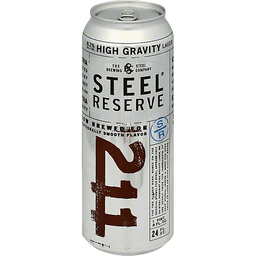 The two eleven mark, based on the medieval symbol for steel, appears only on Steel Reserve High Gravity Lager. We use nearly twice the ingredients of many normal lagers & brew for over twice as long as many quality beers. Extra malted barley select hops for extra gravity. For consumer questions call 1-888-645-5376. 8.1% alc/vol. Imported beer. Golden, full-flavored pilsner-style lager with a clean, crisp finish. Questions? Visit www.modeloUSA.com or call 800-683-4227. Dispose of properly. 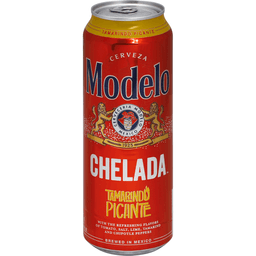 Brewed and canned by Cerveceria Modelo, Nava, Mexico. Brewed in Mexico. 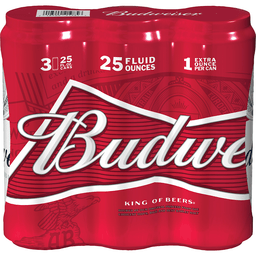 Budweiser® Beer. 25 fl oz. 1 pint 9 fl oz. 5% alc/vol. Per 12 fl oz - average analysis: calories, 145. Carbohydrates, 10.6g. Protein, 1.3g, fat, 0.0g. tapintoyourbeer.com. Questions/comments 1-800-DIAL-BUD. Enjoy responsibly. Please recycle. Rexam. Silver Medal Winner, Imperial India Pale Ale, 2009 Great American Beer Festival. Double IPA, Denogginizer is a big bold beer hopped with an abundant amount of Simcoe & Columbus, with a touch of Amarillo & Cascade. Mashed with Munich & Crystal Malt for color and flavor - and to balance out the hop assault. Drake's ales are urban-brewed at the former Caterpillar powerhouse in industrial San Leandro, California. Our brewery is more gritty than pretty, but with great hops & barley malt, our talented brewers have been turning out unique and delicious beers here for over 20 years. Established 1989. Owned & operated by the Kirkorian & Martin Families. We hope you like our beer! Let us know at www.drinkdrakes.com. 9.75% alc/vol. 90 IBUs. Brewed & bottled by Drake's Brewing Company San Leandro, CA. Established in Milwaukee 1844. 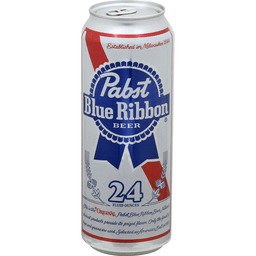 This is the original Pabst blue ribbon beer. Natures choicest products provide its prized flavor. Only the finest of hops and grains are used. Selected sa americas best in 1893. Pabst Blue ribbon beer. Blue ribbon for a reason. The most awarded american lager in history is right here. The judges only care about one thing: taste. No brand names. No labels. No pretense. And no other american lager has taken home more medals than Pabst Blue Ribbon. Let your taste decide. (hashtag)earnyourribbon. Pabst brewing since 1844. Recyclable aluminum. Union made. Please don't litter. For consumer questions, please call 1-800-947-2278. Premium flavor and quality since 1925. 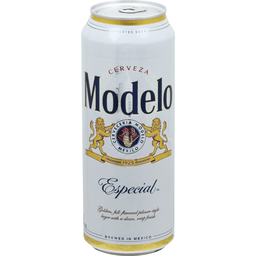 Modelo Especial, a long lasting tradition. 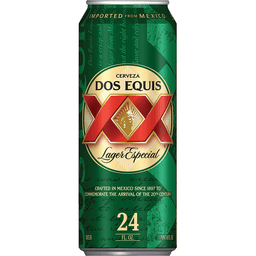 Brewed in Mexico. Imported beer from Mexico. 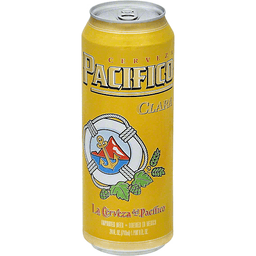 www.PacificoBeer.com. Ball. 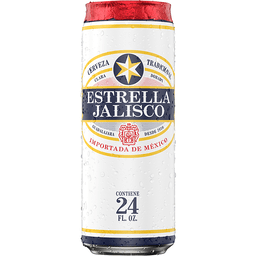 Brewed and canned by Cerveceria De Coahuila, Nava, Mexico. Brewed in Mexico. Golden, full-flavored pilsner-style lager with a clean, crisp finish. 1925. Questions? Visit ModeloUSA.com or call 800-683-4227. Dispose of properly. Brewed in Mexico. Brewed and canned by Cerveceria Modelo, Nava, Mexico. Imported beer. Questions? 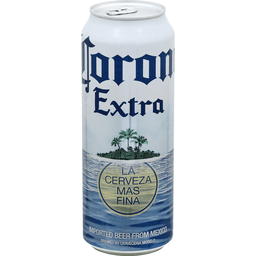 Visit CoronaExtra.com. 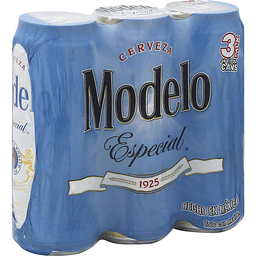 Brewed and bottled by Cerveceria Modelo, Nava, Mexico. Imported beer from Mexico. Made in Mexico. 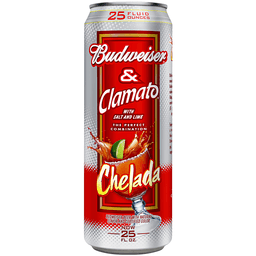 Bud Light® & Clamato® With Salt And Lime Chelada. Now 25 fl. oz. The perfect combination. 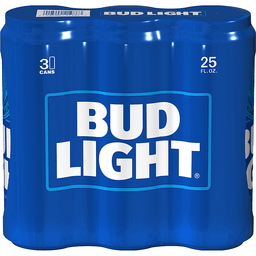 Bud Light beer with natural flavor and certified color. 1 extra ounce. 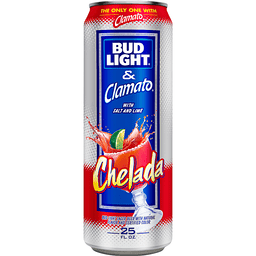 Enjoy the best of two worlds: a refreshing Bud Light and the unique flavor of Clamato. Drink a red one, ready to go, or use your favorite ingredients to make it yours - wherever, whenever! Flavored beer. Average analysis: Calories, 151. Carbohydrates, 15.6g. Protein, 1.9g. Fat, 0.0g. Enjoy responsibly. Please recycle. Clamato is a registered trademark of Mott's LLP, used under license. Questions/comments: Call 1-800-DIAL-BUD (1-800-342-5283). 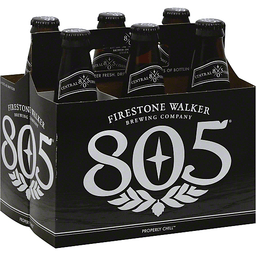 Brewed on California's Central Coast. 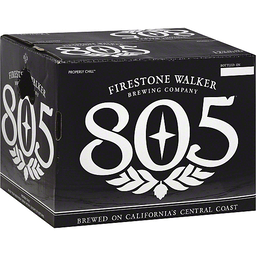 805beer.com. firestonebeer.com. 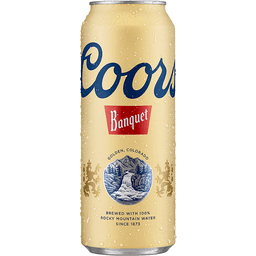 Coors Golden Banquet Beer. Commemorative heritage can. Brewed with rocky mountain water. Adolph Coors Company Golden, Colorado U.S.A. 24 fl oz. Same legendary taste. Beer. Please recycle. Per serving: 5.0% Alc./vol. The banquet beer: After a backbreaking day of swinging pickaxes, the miners of Colorado were ready to unwind with a cold beer. 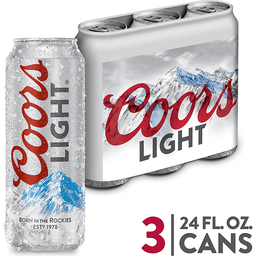 Adolph Coors empathized, so he supplied the beer for their legendary get-togethers known as Banquets. You could say the name stuck. Questions 1.800.BANQUET or coors.com. ©2016 Coors Brewing Co.
Miller Lite Tall Can. A fine pilsner beer. Recyclable aluminum. No additives or preservatives. One pint 8 fl oz. Beer. Per serving: 4.2% ALC./VOL. Ball. 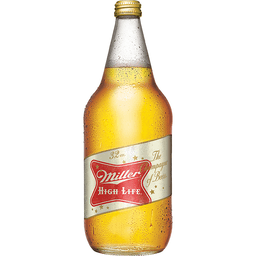 Miller®. Inside is a fine pilsner beer, brewed with the highest quality ingredients. 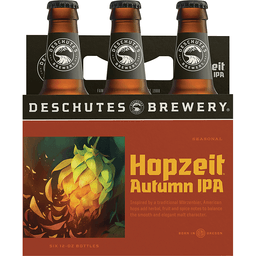 We use choice hops from the Pacific Northwest as well as noble saaz hops and deliver more taste, aroma and color with only 96 calories per 12 oz. Miller Brewing Established WI 1855 USA. Brewed, triple, hops. Brewed with the best ingredients. For consumer questions call 1 800 MILLER6. With the refreshing flavors of tomato, salt and lime. 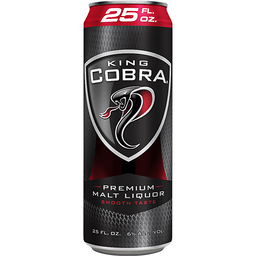 Beer with natural flavors, artificial flavors and sweeteners, and certified colors. Questions? Visit www.modeloUSA.com or call 800-683-4227. Dispose of properly. 3.5% acl/vol. 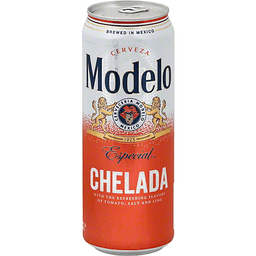 Brewed and canned by Cerveceria Modelo, Nava, Mexico. Imported beer from Mexico. Questions? 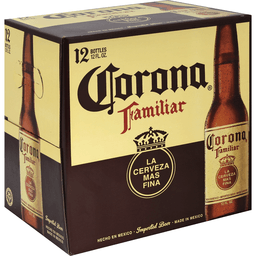 Visit CoronaUSA.com. or call 800-295-1032. 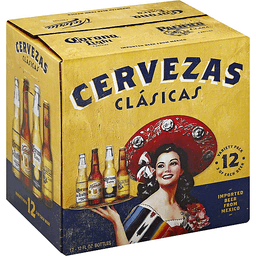 Brewed by Cerveceria Modelo. Brewed and canned by Cerveceria Modelo, Nava, Mexico. Imported lager beer. 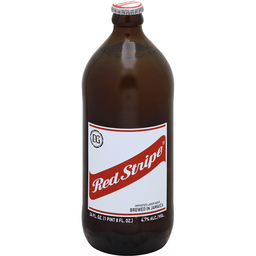 Since 1928, Red Stripe has embodied the spirit, rhythm and pulse of Jamaica and its people. Enjoy responsibly. www.redstipebeer.com. Questions? 1-866-508-5970. Please recycle. Recyclable. 4.7% alc/vol. 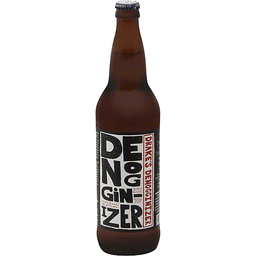 Brewed & bottled by Desnoes & Geddes Limited, Kingston, Jamaica. Brewed in Jamaica. Smooth taste. Extra ounce. 6% alc/vol. Please recycle. 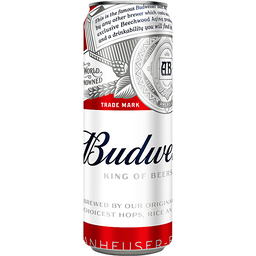 Brewed and canned by Anheuser-Busch, St. Louis, MO. 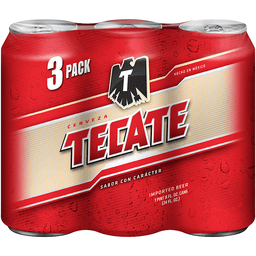 An authentic, full-flavored lager, Tecate is the bold taste of Mexico. For over 70 years, we've brewed our beer for those born with an appreciation for crisp flavor, quality ingredients, and originality. We brew it for those who are Born Bold. Please enjoy responsibly. Corporation questions? 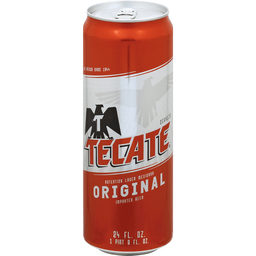 Call 1-877-522-5001. www.tecate.com. Please recycle. Recyclable. 4.5% alc./vol. Brewed and bottled by Cerveceria Cuauhtemoc Octezuma SA de CV, Monterrey, N.L. Mexico. Product of Mexico. 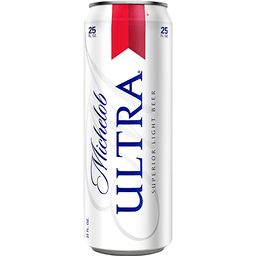 Superior light beer. Enjoy responsibly. Please recycle. Question/comments call 1-800-342-5283. Tapintoyourbeer.com. 4.2% alc/vol. Brewed and canned by Anheuser Busch, St. Louis, MO. Abbaye De Of Leffe® Original Belgian Abbey Ale. Brown. ALC 6.5% by VOL. 6 x 11.2 fl oz. Belgian ale. Savour the flavour of Leffe brown. Award-winning Leffe brown is a full-bodied deep beer that is smooth and refined, yet robust in taste. Belgium's classic abbey ale is best served in its own chalice-shaped glass, which accentuates the ale's aroma and creates the perfect head. The story of the abbey of Leffe. Leffe brown abbey ale traces its origin back to the Abbaye of Notre Dame de Leffe, founded in 1152 in the province of Namur by the river Meuse. It was in this placid valley that, in 1240, the monks first brewed Leffe ale. At that time, the abbeys and monasteries provided shelter, food and refreshment to passing travellers and pilgrims. Being entirely self-sufficient, the Norbertine monks at Leffe handcrafted their own ale, brewed naturally from the finest local ingredients with an almost religious dedication. Always enjoy responsibly. Graphic Packaging International. Sneek-NL. Imported. Savor the mystery of the ages. The authentic Belgian abbey ale: Enjoy this delicious Leffe brown with its sweet caramel yet bitter taste. Always enjoy responsibly. CA redemption value. Questions/comments call 1-888-287-2400. Highly limited release. One hitter series. There's no shame in being a one-hit wonder. It's hard to be right even once. This series of rare beers, brewed in our smallest fermenters - all our experiments, liquid ideas, salubrious ruminations built on our 24 years of edgy brewing at the edge of brewing. Beer speaks. People mumble. Say Lah-goo-knee-tuss. Petaluma, Calif. & Chicago, Ill. In 1971, the Waldos met one afternoon at 4:20 in the front courtyard of their school near the Statue of Louis Pasteur. They set out in a '66 Impala armed with a 'treasure map' on a journey to find a Secret Garden near Point Reyes. They met there at the same time every day and continued their quest. They never found the Secret Garden - but they kept lookin'. 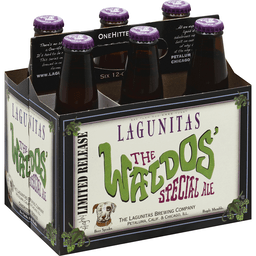 The dankest and hoppiest beer ever brewed at Lagunitas was made with help of The Waldos for all treasure hunters - Call us! 707.769.4495. Cheers! How'za bout trying one of our other beers! Maybe a homicidally hoppy Lagunitas IPA - Indian Pale Ale or maybe a crispy clean Lagunitas Pils - Czech Style Pilsner. Whatever. www.Lagunitas.com. 3 of each beer. Corona Light: 3 bottles. Cerveza Pacifico Clara: 3 bottles. 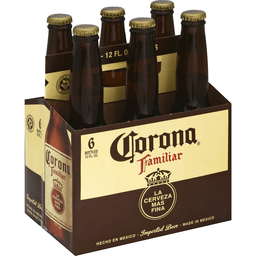 Corona Extra: 3 bottles. Victoria: 3 bottles. 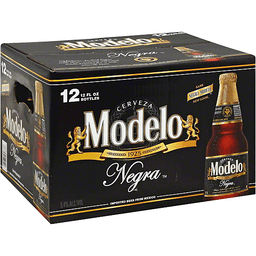 Imported beer from Mexico. Drink responsibly. Product of Mexico. Bud light beer with natural flavors and certified color. New flavor! The perfect combination. 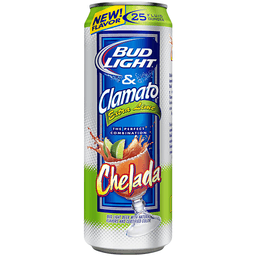 Enjoy the incredible combination of a refreshing Bud Light with Clamato and extra lime. 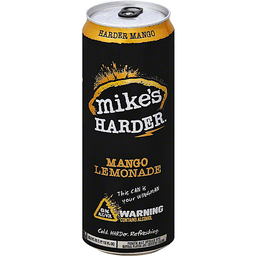 Drink it straight from the can or make it your own with your favorite ingredients. Cheers! Extra lime flavor. Questions/comments call 1-800-Dial-Bud (1-800-342-5283). Please recycle. 4.2% alc/vol. 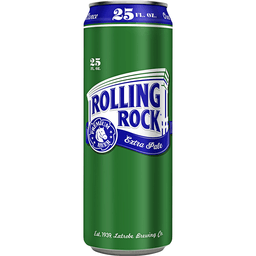 Brewed and canned by Anheuser-Busch, St. Louis, MO. 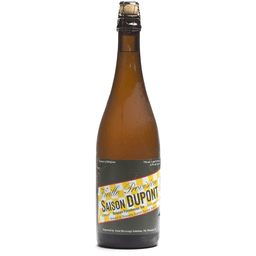 Bottle conditioned to keep our beer fresh and enhance the flavors our brewers intended. This may leave a fine layer of yeast in the bottom of the bottle. 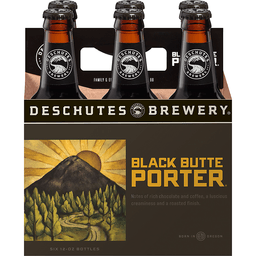 An opening volley, this pioneering dark ale signaled Deschutes' renegade intentions. Its creamy mouthfeel, complex layers, hop edge and chocolate finish personify passion-forward brewing. 5.2% Alc. by Vol. An open invitation. If you ever can stop by our brewery or pubs and taste the wonders of no-holds-barred brewing. While you're at it, we'll toss in towering spires, endless horizons, churning waters and a ridiculous menu of recreational decisions. We're just lucky, not selfish. Cheers. A festive winter ale. Made with hand-picked apples. 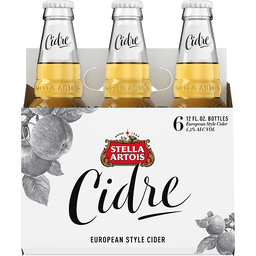 stellaartois.com/cidre. Naturally gluten free. 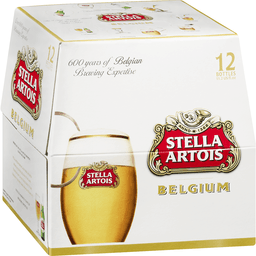 4.5% alc by vol. Brewed from the finest malted barley, selected cereal grains and choicest hops. Since 1855. Est. 1855. Hand selected hops. Fresh draft taste. Brewed by our genuine cold-filtered method. No additives or preservatives. Recyclable aluminum. 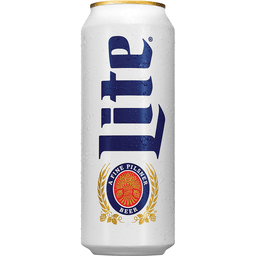 www.millerbrewing.com. 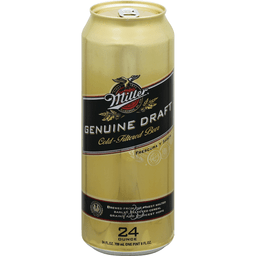 For consumer questions call 1-800-Miller 6. With the refreshing flavors of tomato, salt, lime, tamarind and chipotle peppers. 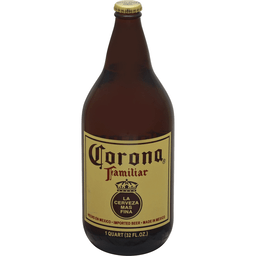 Beer with natural flavors, artificial flavors and sweeteners, certified colors, and caramel colors. Dispose of properly. Questions? Visit ModeloUSA.com or call 800-683-4227. 3.3% alc./vol. Brewed and canned by Cerveceria Modelo, Nava, Mexico. Brewed in Mexico. World beer championships. One of the ten best breweries in the world, Beverage Testing Institute. Since 1988. www.northcoastbrewing.com. Brewed & bottled by North Coast Brewing Co., Inc. Fort Bragg, CA 95437. Premium flavour and quality since 1925. 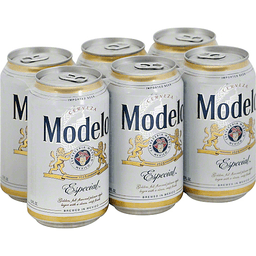 Modelo Especial, a long lasting tradition. Imported beer. 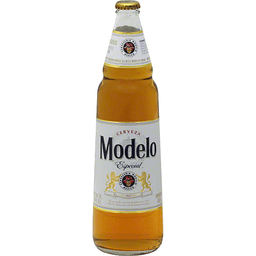 Brewed and bottled by Cerveza Modelo S.A. De C.V. Mexico City, Mexico. 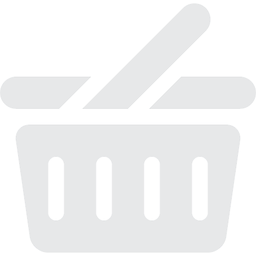 Imported by Crown Imports LLC, Chicago, IL 60603. Brewed in Mexico. Say lah-goo-knee-tuss. A 12-gang of 12's. Beer speaks. Est. 1993. People mumble. 420/35 12 oz'ers. This special ale is something fairly new under the sun. It's got a lot of wheat, it's rich with hops, it finishes dry. We've watched with some amusement as the internet beer rating sites argue over how to classify it. We're in the camp with Japhy Ryder when he declares to Ray Smith that comparisons are odious! You ever notice how everything has to be today's version of yesterday's whatever. Well, whatever. Sometimes we wonder what the world would be like if everything was perceived for what it is, and not what it reminds you of. The sun would rise everyday as if for the first time, you'd work as if newly born, you'd see your lover next to you anew, the air would smell like flowers, work would be like the first day back in school, a beer would make your eyes roll back in your head in ecstasy - well, maybe not - but you get the idea. Call 707-769-4495. Cheers! 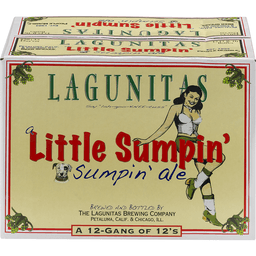 Brewed and bottled by The Lagunitas Brewing Company Petaluma, Calif & Chicago, Ill.
Assertive, balanced and smooth. IPA - elevated. A beer can lead to new ideas, toast the perfect moment, or start you on your next adventure. 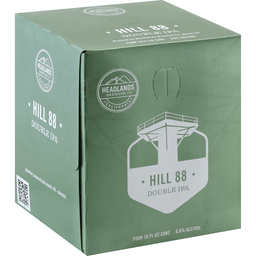 Headlands Brewing was born when two brewers decided to embark on an adventure combining their passion for great beer with their love of land and sea. (at)headlandsbrew. Instagram. Twitter. Facebook. headlandsbrewing.com. Share with us how you (hashtag)findyourheadlands. Cans: Infinitely recyclable. 8.8% alc/vol. Brewed by Headlands Brewing Co., Marin, CA.